What are the purpose and goal(s) of the VSA, and how has the VSA met or exceeded those goals? 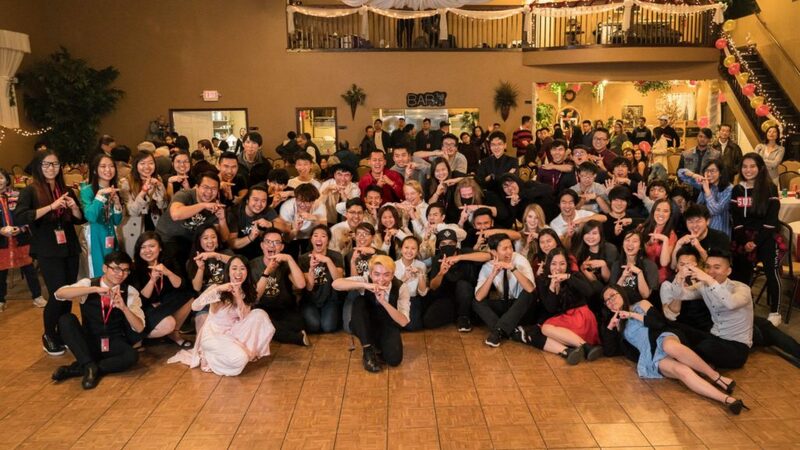 One of the most prominent purposes for the University of Utah’s VASA is to create an environment where people feel welcomed and included in the Vietnamese community, in addition to generating excitement to learn about the Vietnamese culture. VASA incorporated this goal into all the events this year, ranging from the Lunar New Year festival to the weekly club meetings on the university campus. The membership of VASA has reached an all-time high and many cultural backgrounds are represented at activities and events. The unique events regularly hosted generated excitement and interest amongst new and old members. They took advantage of the college student’s love for free food and turned it into a cooking demonstration and competition to learn the art of making banh xeo. The inclusive environment has created a family amongst our members and social events have expanded outside the organized activities to spontaneous hangouts amongst friends such as late night trips across town to grab ice cream. Address how the VSA was outstanding in the following areas: recruitment, marketing, outreach to campus community, use of resources (financial, etc. ), officer training and event planning. The membership enrollment has increased by 200% from the start of the school year. This reinforces how VASA has pushed the mission of inclusion and involvement for the members. They continue to branch out and connect with people of other cultures and ethnic backgrounds. VASA collaborates with other cultural student groups for events and service project in order to promote networking and teamwork. Finances are limited and strongly dependent on the University of Utah student group budget, which only allotted $500 for the entire year for programming and supplies. VASA thrived in the face of financial challenges and worked hard to secure local and alumni sponsorship to continue hosting community events and campus activities. Many members and officers donated their own time and money to ensure that their vision could be carried out in full. Additionally, VASA used the creative talents of their members to generate marketing materials for events and activities. Event pages were accompanied by cute event posters and officers were quick to respond to comments to increase interaction. All of the current officers went through a training period immediately following their election in order to ensure that their growth was not limited to the school year. They started out early with consistent bi-weekly meetings. The officers have been able to gather experience in their field through successful events we have already implemented, like the Summer BBQ social in May 2018. How did the VSA work together to maximize strengths and overcome weaknesses? How did the group work to establish responsibility and accountability among its members? VASA worked together through networking. They were able to grow our club by 200%, as mentioned above. One of the weaknesses of VASA was the small support system of members compared to the other VASAs/VSAs. They were the weakest VASA in the Southwest region up until this year. Through networking, they were able to gain a variety of members that strengthened VASA to what it has become today. They were able to increase diversity, team bonding, and improve the reputation of VASA. Out of all of the VASA clubs in the Southwest region, Utah’s club had the least diversity in previous years, but through the recruitment process this year, they have been able to broaden the audience and gain more support. Many of the members this year are not of Vietnamese descent, but rather have an appreciation for Vietnamese culture and what the club stands for. VASA has been able to break down those barriers that gave off the impression that was only for Vietnamese students. Not only has VASA increased in size, but they have also grown in the participation of the Vietnamese community events and their own events. They have gained many new and strong members. For instance, at Apex-3, out of four possible scholarships given, two of their very own club members were able to win that scholarship for the conference. Not only was their club represented through the regional social media, but were also represented on stage. We have made our weaknesses our strengths this past year and have grown in presence equal to those who were influential since the beginning. This year, VASA truly shows the strength of what they were not able to be a couple years back. Provide specific examples of how the student group demonstrated growth and development in the 2017-2018 academic year. One of the best examples of student growth and development is how VASA’s members became more involved in not only local events, but aspired to be a part of something bigger. Previous school year’s officer team created a space for members to appreciate and take pride in Vietnamese culture at every event they were a part of. Because of this, non-Vietnamese members felt like they had a place in this community. During the Lunar New Year, it was expected to have around 200 attendees, but because of the overwhelming support of our members and community, there were approximately 500 attendees, making it one of the biggest Vietnamese events thus far in the state of Utah. This would been impossible without the dedication that each of our members have to VASA at the University of Utah, and the Vietnamese community of Utah as a whole. The Apex-3 Leadership Conference was a critical moment for many of our first year members, as it solidified their commitment to VASA and the Vietnamese community. A great example of this is how two of our very own members went above and beyond to apply and earn the Diamond scholarship. Apex inspired many members to pursue something bigger and attend UNAVSA this upcoming year. Sixteen people from Utah are attending UNAVSA this year, which is a significant increase from recent years. New leaders from this chapter have emerged in the Vietnamese community including the Legacy Scholarship winner, 2 SWUVSA cabinet members, and even the SWUVSA Eboard president. Many of the first year members have taken an extra step and applied for leadership positions within the organization. Of the eleven officers for the 2018-2019 school year, nine of those are first year VASA members and of those, eight are rising sophomores. This dedication at such an early part of their college career is what separates our VASA members from those of other schools.